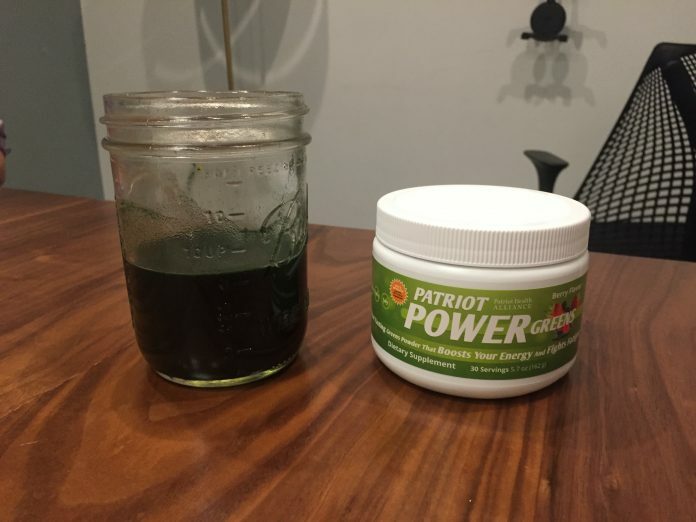 Home » Organifi Green Juice vs. Patriot Power Greens — Which Superfood Powder is Better? 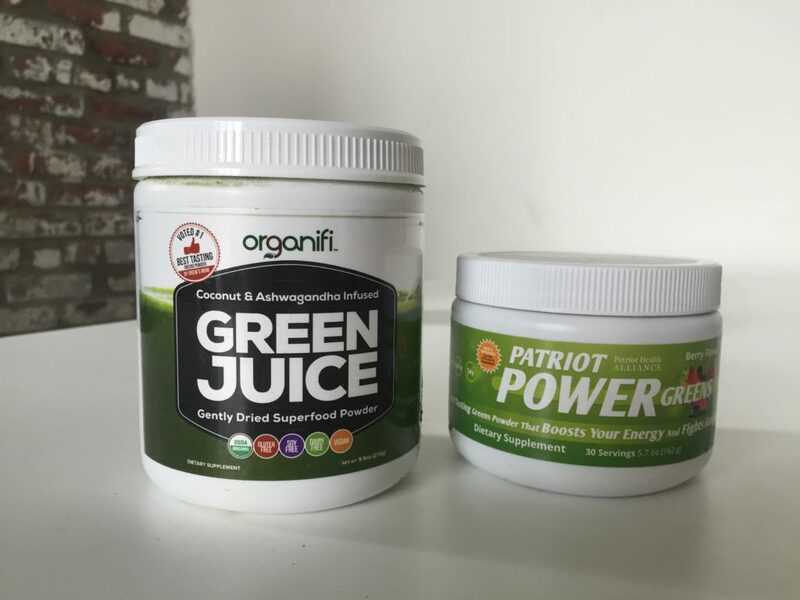 Organifi Green Juice vs. Patriot Power Greens — Which Superfood Powder is Better? Here are two pretty popular green superfood drinks with very different approaches to marketing. Organifi has millions of Facebook likes and focuses strongly on the fact that it contains ashwagandha, a plant that’s linked to cognitive benefits. Patriot Power Greens on the other hand is squarely marketed at an audience of conservative senior citizens, even donating a portion of its profits to the U.S. Armed Forces. But the two have a lot in common. Let’s see which one is more deserving of your cash. Both of these green superfood drinks avoid the soily, earthy flavors that befall a lot of their competitors, but Organifi comes closest. It’s not aggressively bitter, rather it tastes like unsweetened green tea with just a hint of mint. If you like green tea, you won’t hate Organifi. This comes in a Mixed Berry flavor and, lo and behold, it tastes like mixed berry — even though it’s free of artificial flavors and sweeteners. Organic apple powder is near the top of the ingredients list and there are definitely hints of apple and passionfruit when you consume it. It’s delicious, if a little sweet, and the clear winner of the two. You can buy Organifi Green Juice for about $70 for 30 servings, or $2.33 per serving. When you factor in postage and handling, this costs $59 per tub of 30 servings, so just a little under two dollars per serving. Organifi has a shorter ingredient list than a lot of greens powders, but it manages to include most of the ingredients people want from a greens powder: wheat grass, wheat grass juice powder, spirulina, chlorella, and matcha green tea, all of which are organic. That’s the “alkaline greens proprietary blend,” after which there’s a “super food proprietary blend” of coconut water powder, ashwagandha, red beet, and monkfruit. The ashwagandha is the star, here. It’s front and center on the product’s marketing and it’s linked to cognitive performance and anxiety relief. The serving size is about half the size of Organifi but it has dozens more ingredients, which I don’t really consider to a positive — you could argue that the benefits of the ingredients in Patriot Power Greens are diminished because they’re spread across so many different foods. The powdered apple, sweet potato, and grape don’t have the same nutritional potency as the spirulina. So Organifi has 5.1 grams of greens and 1.45 grams of “super foods,” while Patriot Power Greens is 5 grams of some forty ingredients that includes a lot of fruit, a lot of berries, and 10 kinds of probiotic bacteria. That’s a bonus, since Organifi doesn’t have any probiotics. It’s hard to pick between the two. 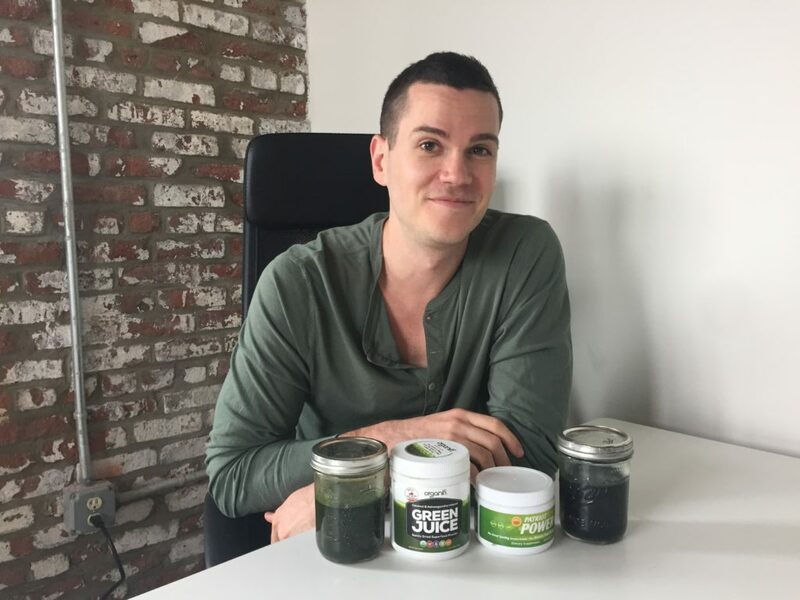 Organifi has more of the nutrient-dense grasses and algaes that people look for in green superfood drinks, while Patriot Power Greens has more probiotics. However, Patriot Power Greens doesn’t say how many probiotics it contains, which is important — some greens powders contain 1 billion, some have 25 billion. Since Patriot Power Greens doesn’t tell you what it provides, and since Organifi has a greater density of the most nutritious greens, I’m doing with Organifi. To start, both products are bad at really quantifying their benefits. By that I mean neither provides the weight of each ingredient (so you can’t tell whether it’s an effective dose) and neither has much information regarding is vitamin and mineral content. Patriot Power Greens just says it has 30% of your vitamin A, which isn’t much. Organfi points out that it has 11 percent of your daily iron, which is middle of the road for a greens supplement. That’s pretty much it. These are meant to be nutritional supplements and they don’t talk about their vitamins and minerals. So the only thing I’m able to do is look at the claims the products make and assess them based on what I know the product provides. Organifi Green Juice claims it can boost brain power, support the flushing out of toxins, and support immune function. The evidence? It almost certainly has more than the minimum effective dose of 400mg of ashwagandha (it’s the second ingredient in a 1.45-gram blend), which is linked to cognitive benefits and reduced anxiety. It has beet root, which may thin bile so it moves more freely through the liver. And it has 5 grams of grasses and algae that are extremely high in antioxidants, which are linked to immune function. I would have liked more information about how much of each ingredient is in the product, but I’m reasonably confident it contributes toward brain function, liver health, and immunity. What about Patriot Power Greens? Well, their site either states or heavily implies it can cure impotence, stop age-related memory decline, neutralize inflammation (as in end it), replace prescription drugs like NSAIDs for arthritis, improve sleep, improve weight loss… it makes a ton of claims that aren’t supported by evidence. Yes, it has probiotics, and Organifi doesn’t. But Patriot Power Greens doesn’t convince me it provides the benefits it claims to confer. As far as I’m concerned, the only thing I know about Patriot Power Greens is that it contains at least one probiotic bacterium. If you want a probiotic supplement, there are cheaper and more transparent options than Patriot Power Greens, like Green Vibrance or Macro Greens. Even if Patriot Power Greens was a great probiotic supplement, I wouldn’t support it because its marketing claims are so outrageous. Organifi, on the other hand, more or less does what it claims to do: provide nutrients that support the mind, liver, and immune system. 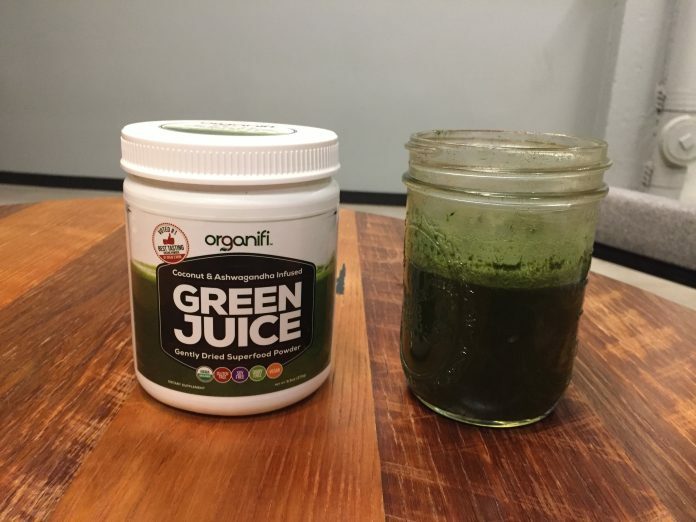 If you want to know which product has more integrity and more benefits, it’s clearly Organifi Green Juice.